So, it’s a busy week at the moment, and not looking likely to get quieter for some time. Part of the mad dash has now been and gone as of this Saturday, Dungeons & Dragons played at the British Ironwork Centre near Oswestry, in support of Hope House and Severn Hospice, a pair of local healthcare charities. This is about as close as I may ever come to an actual diary, this catalogue of my efforts in attempting to turn my hobby into something productive, something that entertains and educates, and allows me to make a living and leave a lasting mark on the RP community. Y’know how I keep saying that geeks are the best people? 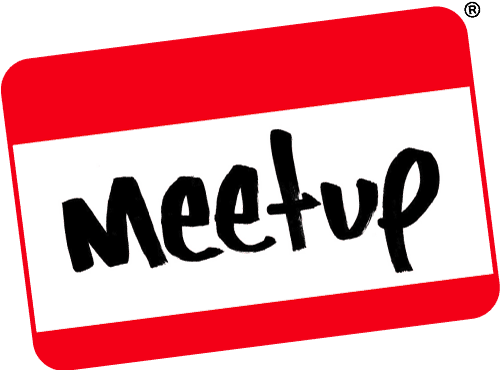 This is our monthly round-up of what’s happening at the next Meetup. We set the theme of the event, talk about what we’ll have on display and what we’re going to do, as well as talk about anything extra. This month, we’re going to have a very charitable meetup, where we try to raise money in advance of Children In Need. I’ve already requested my donation bucket, so here’s hoping we get one ahead of the big day. If not, no biggie – We’ll be raising money for the titanic charity event once again, as after all, we geeks could be the Superheroes that the poor children of the world need. Could we be witnessing the beginnings of the worlds first truly international holiday? A day in which all peoples can unite, undivided by geography, history or beliefs? Probably not. But International Talk Like a Pirate Day is a phenomena which has spread far and wide, and looks set to outlive creators John Baur (Ol’ Chumbucket) and Mark Summers (Cap’n Slappy) who’s spontaneous antics during a racquetball game in 1995 have turned into an unstoppable event in which those of a swashbuckling spirit swap their modern day speech for piratical parlance. And yet, despite being a recognised occasion fourteen years it is not quite so publicly celebrated as other occasions like Mothers Day or Independence Day, or the Cooper’s Hill Cheese Rolling. Perhaps due in part to the ingrained sense of British decorum we’re even more reluctant to don an eyepatch and tricorn hat, or even address customers as Matey or Landlubber. Basically what I’m saying here is why am I always working during International Talk Like a Pirate Day? And yet during certain “acceptable” events we are the weirdest people in the world, with the possible exception of Japan, you guys are awesome. Somehow it’s more acceptable for us to dress up like a cartoon giraffe for a marathon, immerse ourselves in baked beans for charity, or throw ourselves down a hill in Gloucestershire in pursuit of a wheel of cheese. So why can we not set aside this globally recognised day to be just as weird as the rest of the world knows we are? After all some of the world’s most famous pirates are Brits, most famously Edward “Black Beard” Teach himself was a native Bristolian, much like our own Tim (although that is where the comparison ends). We knighted the scourge of the Spanish coast Francis “le Draque” Drake. Why not celebrate our questionable naval heritage with this American made holiday and festival of all things Pirate? Well the simple fact is that the most famously celebrated holidays are the ones with the support of big business. There’s money to be made in greetings cards, chocolate eggs or the general desire to give gifts, not a lot to be made from threatening to keelhaul someone if they don’t put the kettle on, or crying mutiny your friends insist it’s your round. The only other way an event like it is going to get big is with media attention, and while we’re in no position to demand that the new Pirates of the Caribbean gets released on September 19th, there’s a few things we can do on a smaller scale. Charity – Why not start an event, something of your own? Get people to sponsor you or even a group to talk like a pirate for the whole day, oh but you can’t just stay inside the whole day and turn Facebook to English (pirate), go to work or get up and do something, be loud, make a scene and raise awareness for something that really matters to you, and a charity of some sort. The official UK page is a great place to start as they nominate a specific charity of their own to focus on but there’s no reason you can’t choose your own. Parties – Most venues will jump at the chance for an event to draw people in, this one is ready made. Consider approaching your local pub for a pirate night in celebration of Talk Like a Pirate Day, drag some friends along in fancy dress and make a night of it. Be sure to tell the guys at the official TLAPD page about it t have your party mapped for all to see. International Talk Like a Pirate day is the 19th of September which this year falls on a Monday, and yes, I will be working. Go forth and celebrate on my behalf.